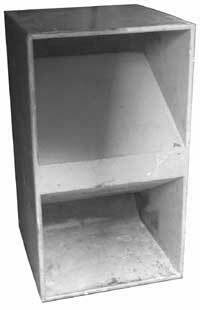 The Electrovoice Eliminator is a classic bass bin design. Utilising a single 15" folded horn design, this low frequency cabinet offers a tremendously efficient low frequency performance that really kicks bass - whether as part of a two, three or four way loudspeaker system. Using quality birch ply, this rugged cabinet is equally at home reproducing live rock music or today's modern dance music (normally in black).